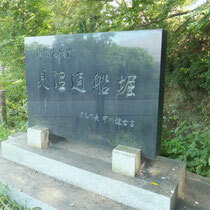 The section, southern part of Green Healthy Road, runs along with Eastern Branch of Minuma Watercourse, which is 21.1 kilometer long between National Route 16th in north area of Saitama City and Green Center, Kawaguchi City. Green Healthy Road North is shown in the overall route map here, with information on points of interest. By clicking each of titles below, you can have detail map of each point of interest. 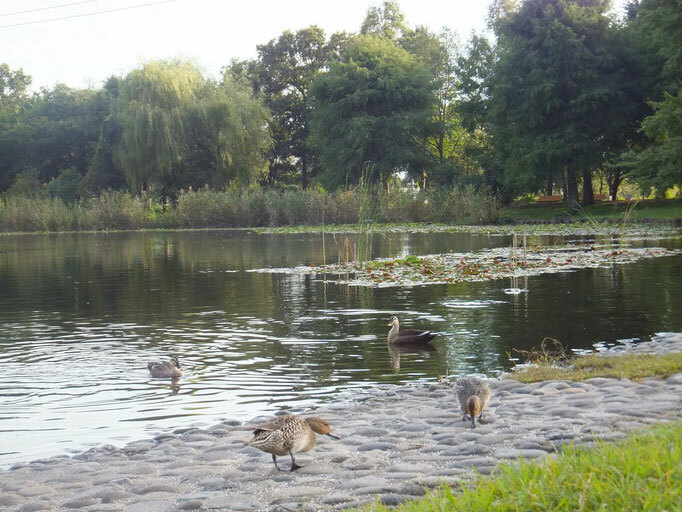 Among many parks in "Minuma Tanbo", Minuma Nature Park is the most full of nature spots, and the most beautiful and well-designed park with its lawn area, forest, and pond spreading in the wide area. 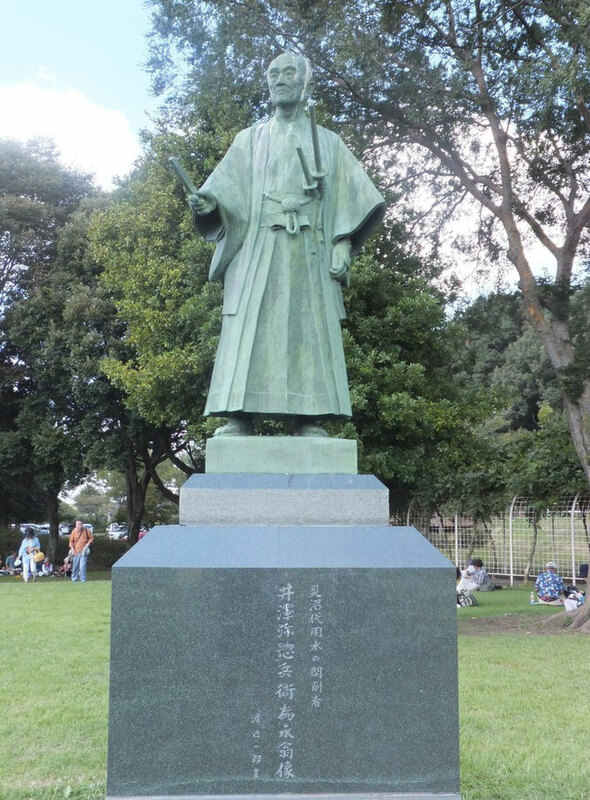 The statue in the lawn area is Izawaya Sobei Tamenaga, who was a "Samurai" leader to have successfully made the civil works of Minuma area by following an order of Shogunate Tokugawa Yoshimune in Edo period. 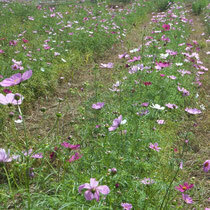 It is so comfortable to take a walk in the part. 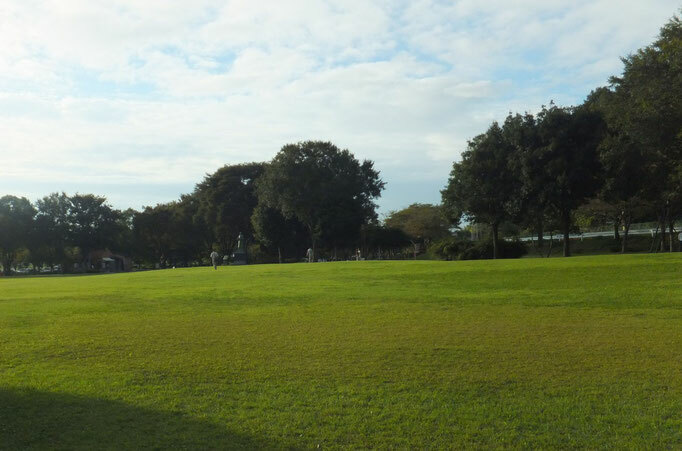 Next to this park, another park, named "Sagiyama" Memorial Park, exists, which is so usually quiet to be called as a park for adults. 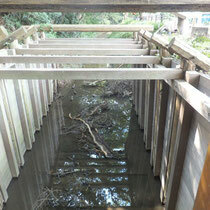 Minuma Lock-Gate Canal built in Edo era is the oldest one in Japan. 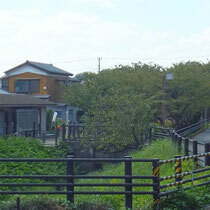 Siba River runs between two Minuma Watercourses, East and West ones. 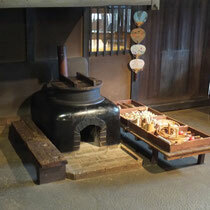 Since the water level between Shiba River and two watercourses was 3 meter difference, the Samurai leader, Izawaya Soubei, developed the lock-gate canal in order that boats could carry rice from Minuma to Edo and materials back from Edo to Minuma. 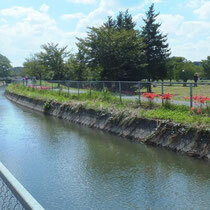 The time of the Minuma Lock-Gate Canal was 183 years earlier than Panama Lock-Gate Canal. 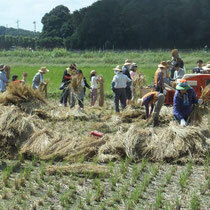 "Bando", the head of local village, developed their rice field in Minuma area and their family house was built in 1857. That house was restored at the original location now. 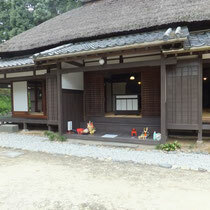 It is a one-story, wooden house with a thatched roof and 280 square meters floor area. 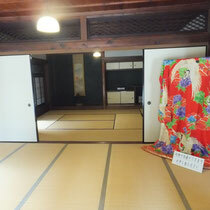 Having a wide reception floor at the house entrance, it shows that this is the house of the prestigious family. 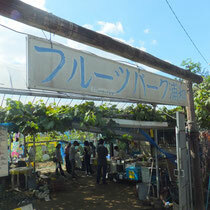 This is one of farms in Minuma area where people enjoy collecting grape. 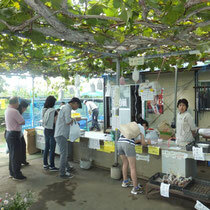 Around end of September, season of grape collecting is over, however, on every Wednesday, Saturday, and Sunday, vegetables and other fruits are sold at the park. 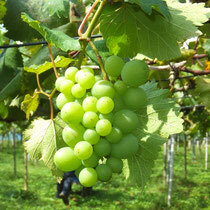 Observing thier grape shelves is free of charge.